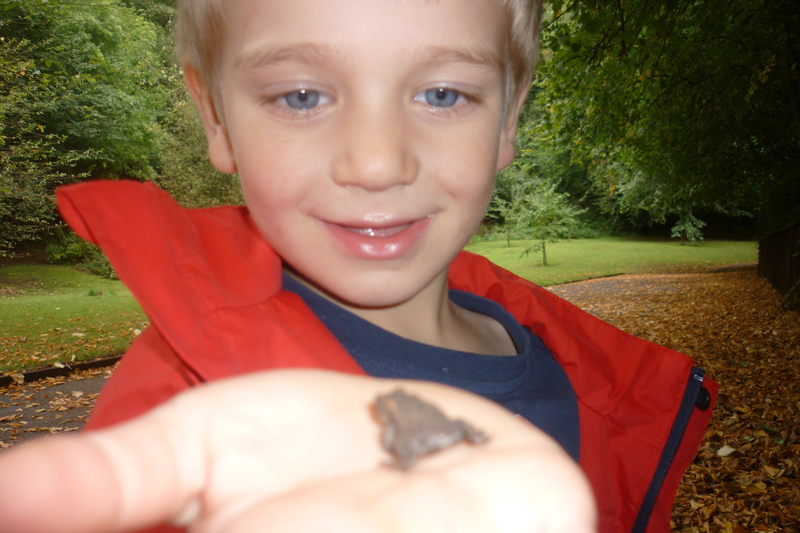 We were out last Friday looking for bugs and we found this baby frog beside the pigeon bridge. We took him back to nursery for a few hours then let him go back to his home. We are learning to respect nature.